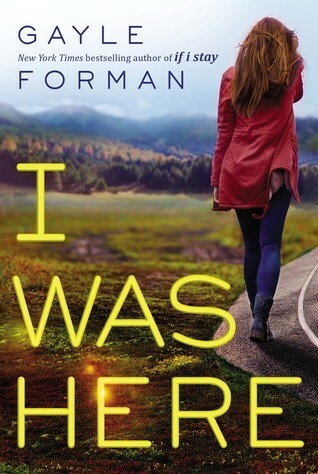 I Was Here by Gayle Forman – I finished this novel a month ago, and my feelings regarding it are still sort of muddled. There was so much I enjoyed: Cody’s strength and courage, the road trip element, the portrayal of familial relationships (Cody and her mom, Cody and Meg’s family), the eccentricities of Meg’s housemates, and the romance. But then, the romance threw me a little, too. Cody and Ben have awesome chemistry (of course — this is a Gayle Forman novel), but I found myself wanting a little more from the “good girl makes bad boy see the error of his ways” trope. That said, I loved the final pages, so maybe the trope eventually worked for me after all? Another I Was Here component worth mentioning: the suicide support chat rooms. *shudder* I had no idea such places existed online, and as Cody dove deeper into their seediness, I was left feeling increasingly uncomfortable. I suspect that was the point, and it was well executed. Overall, I Was Here is a strong, moving novel and Gayle Forman’s characters and prose are as affecting as ever. Brave New World by Aldous Huxley – This is so not a Katy Book. While I can see its literary merit, I am not a fan of this dystopian-set social-commentary/bizzaro novel. I know that’s an unpopular opinion (it is a classic, after all), but I found Brave New World‘s writing dull and its plot whacky (and kind of gross, actually). My husband read it just before I did and he liked it. He’s been trying to convince me of all the reasons I should be applauding it, but… nope. 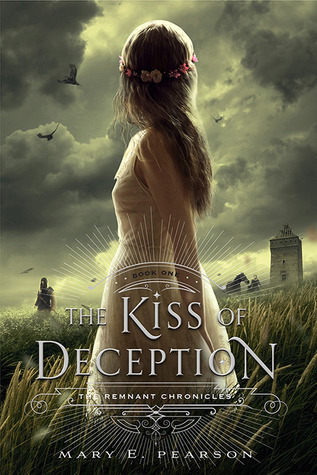 The Kiss of Deception by Mary E. Pearson – This one came highly recommended via the Class of 2014: YA Superlatives Blogfest, and I’m so glad I decided to buy it. It’s a very cool fantasy (by the author of The Adoration of Jenna Fox), one that’s rich and unique. There’s a love triangle — often a turn-off for me — but this one is fresh because there’s a mystery element to it: one boy is a prince and one boy is an assassin sent to kill the royal MC, Lia. The magic comes from the fact that as a reader, you’re not sure which boy is which. (For the record, I guessed correctly, and I was very happy with the outcome.) The Kiss of Deception‘s world-building is thorough and luxurious, and its characters are layered and absorbing. I’m very much looking forward to reading the next book in this series. 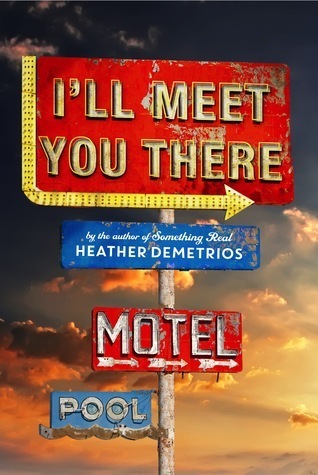 I’ll Meet You There by Heather Demetrios – Full disclosure: Had this novel not come highly recommended, I would not have read it. One of its main characters is a Marine who’s just returned from Afghanistan minus a leg, plus a whole lot of post-war issues. I haven’t enjoyed most of the military-esque YA I’ve read (with the exception of Trish Doller’s Something Like Normal, which is incredible) because it’s hard for me to turn off the critical part of my brain that constantly wants to catalogue the ways authors get military life wrong. I went into I’ll Meet You There ready to roll my eyes, but… I ended up loving it. In fact, the more I think about it, the more I love it. This novel is real and raw and unflinching, and its voice… extraordinary. Highlights: Skylar (my favorite MC of late), Josh (his chapters literally made my heart hurt, plus he’s hot), the portrayals of poverty and Marine loyalty, the romance (oh my, the romance), and most of all ~ slight spoiler ~ the seriousness with which Skylar and Josh come to take their relationship. Their absolute commitment to one another — baggage and all — is refreshing and beautiful and (for me) very relatable. I’ve a feeling this novel will be one of my 2015 stand-outs. Recommend! I’m looking forward to THE KISS OF DECEPTION’s follow-up too. Loved the way that story was executed. And yes, send thoughts on IMYT soon. I can’t wait to hear more about what you (and Tracey) thought! I pretty much just need to read straight down your list, even stupid BRAVE NEW WORLD. Love the concept of THE KISS OF DECEPTION, definitely adding to my TBR-list.